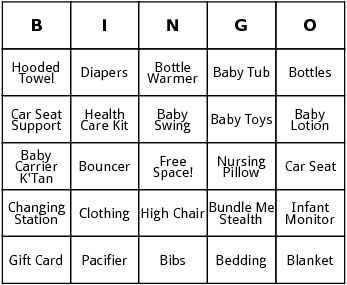 This is the baby shower bingo. It includes words related to that special baby like "Diapers" and "Hooded Towel". Baby showers usually feature an array of playful games and bingo is one you must include! You can add more words to the baby shower bingo to make the game last longer - maybe add the name of the special one!